Our little guy has been doing karate for a while now and recently tested for his blue belt. Not only was there a new belt, but he moved up to an all black uniform as well. This has been so exciting for William and he has worked very hard to get to where he is. He is home schooled now and we have a whole fitness routine set up for each day of the week. 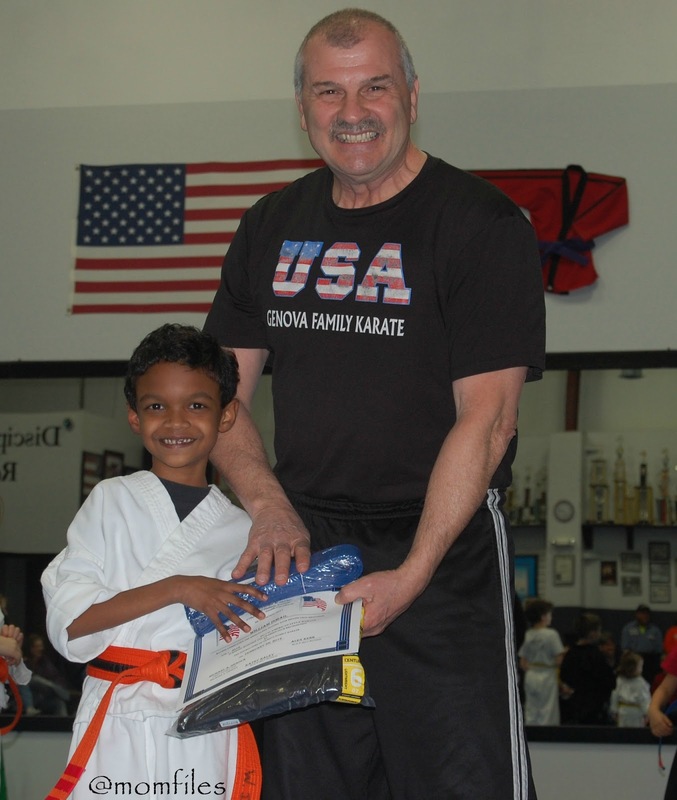 Doing push-ups, jumping jacks, and a variety of strengthening exercises have helped improve his karate skills tremendously. One very special thing about his karate instructor is that Mr. Mike also taught his big sisters, all the way to their black belts. 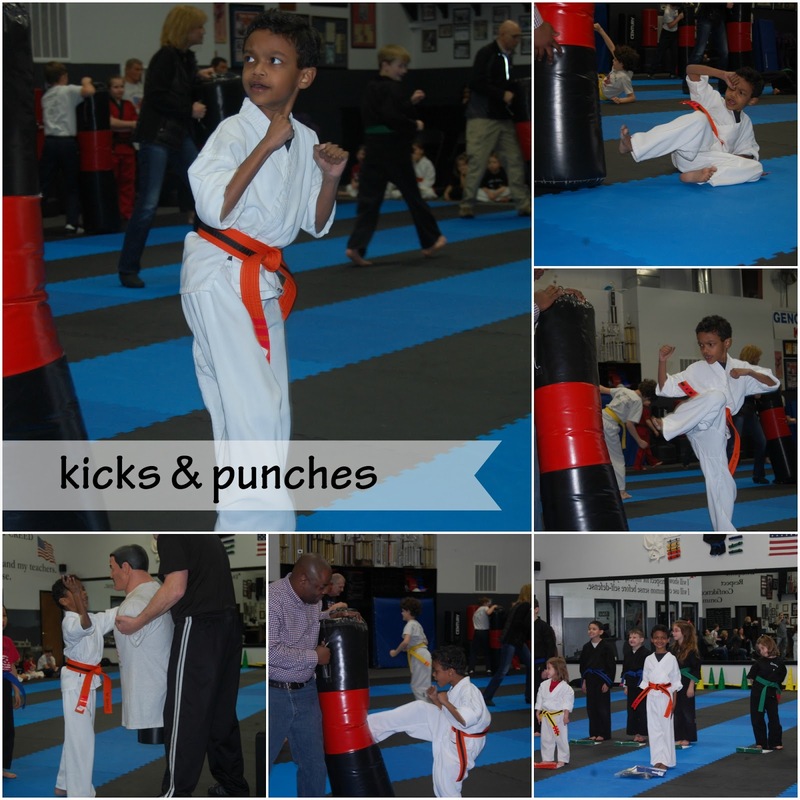 Karate has been such a good sport for William and he has gotten to love it. Right now he goes once a week, but we plan to start him 3-5 times a week as soon as his classes are done for the school year. And speaking of school year, he is averaging a 97% overall. His favorite subjects are Math, Social Studies and Science. It's good seeing him love school and learning. He is the happiest kid! William and his karate instructor, Mr. Mike Genova of Genova Family Karate. Aw, congrats to your little guy! He's on his way to great things. Way to go William. Congrats on the new belt and uniform.